Universal Orlando has announced new details about its latest attraction Skull Island: Reign of Kong. The immersive 3D adventure will take visitors on an exciting and unexpected journey to the magical Skull Island. 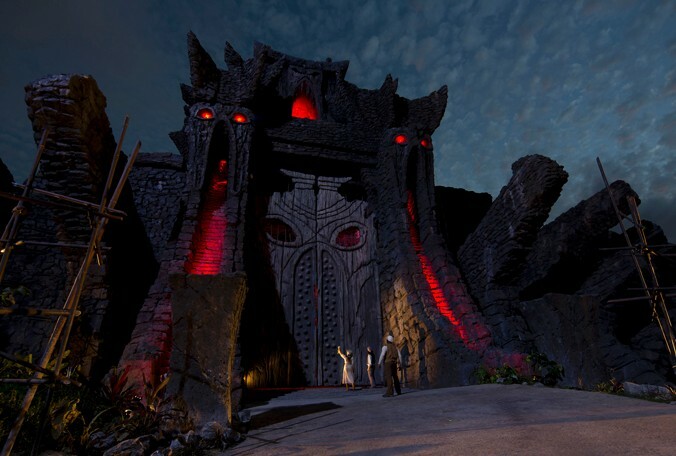 According to Universal, patrons will meet prehistoric creatures, see a forgotten shrine and visit an ancient temple. The ride will have specially devised excursion vehicles that will take guests over rough terrain and through a labyrinth of caves as they venture deeper into the island. Once in the caverns, visitors will find themselves in the center of a battle between giant and fearsome creatures that than turn their attention to you. Universal says Skull Island will be one of the longest rides it has ever made. The company says more information about the ride will be released soon. Kong is part of a series of attractions Universal is promoting. A modernized Incredible Hulk Coaster is set to reopen this summer after it closed September 2015 for significant upgrades.